Sculptor began his training at age nine in Milan under painter Mario Straforini. Later he fine-tuned his craft in Rome, immersing himself in film, music, and set design until 2013, when he began specializing in monumental public installations. Working with his signature medium—see-through wire mesh—Tresoldi pursues an avant-garde yet timeless form of expression. His material of choice conveys literal and figurative transparency, blurring the line between artistic concept and real-world tangibility. In 2016, chosen by the to “restore” an early-Christian basilica in Puglia that earthquakes leveled in the 13th century, Tresoldi recreated it as an enormous yet ghostly architectural form. 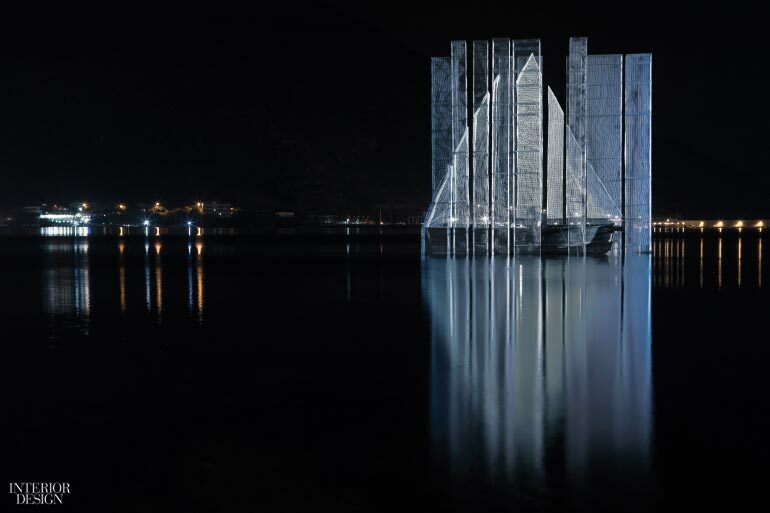 The floating installation was conceived for Italian musician Iosonouncane; lighting was designed by Luca Agnani Studio. Photography by Roberto Conte. 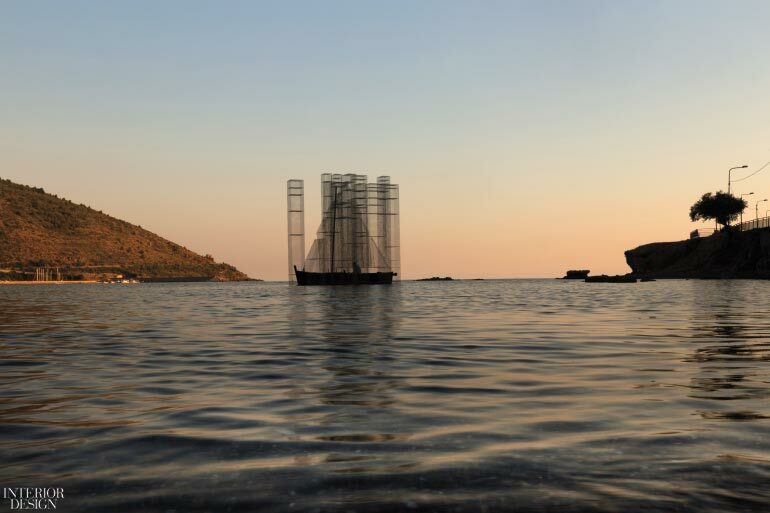 Locus, an installation that floated like a phantom sailboat off the shore at the southern town of Sapri, was a partnership with the Italian electronic pop musician Iosonouncane. Part of an audio-visual performance at the Derive festival in July 2017, the ethereal structure was the source of a sound landscape that reverberated across the water to the audience dancing on the beach. The collaboration fulfilled Tresoldi’s central goal: finding the point at which different modes of artistic expression intersect. The spectral structure as seen from the side. Photography by Roberto Conte.